Brown County is a county located in the state of Indiana. As of 2010, the population is 15,242. Brown County was created on February 4, 1836. The county seat is Nashville. The county is named for General Jacob Brown, hero of the War of 1812. The county is named for General Jacob Brown, who defeated the British at the Battle of Sackett's Harbor in the War of 1812. 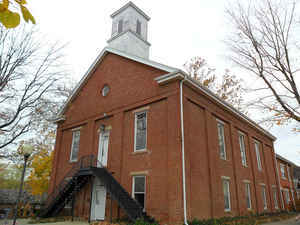 Brown County was organized February 4, 1836, which was made effective April 1, 1836. The first name of the County Seat was Jacksonburg. During the first year of its career it was changed to Nashville. Brown County is divided into 5 Civil Townships as follows: Hamblen, Jackson, Johnson, Van Buren and Washington. The United States acquired the land from the Indians, part of which forms the southwest section of what is now Brown County, in the 1809 treaty of Fort Wayne. By the treaty of St. Mary's in 1818 considerably more territory became property of the government and this included Brown County Land. No settler was allowed in the area until the government survey was completed in 1820. The first white man known to arrive was a German, Johann Schoonover, who lived for a short time on the creek later named for him to trade with the Indians, about 1820. In that same year William Elkins, the first pioneer, built a log cabin and cleared land in what became Johnson Township. The earliest pioneers came from Kentucky, Tennessee, Virginia, and the Carolinas. They crossed the Ohio River and traveled north on narrow Indian trails through dense hardwood forest with wagons drawn by oxen. Many made their way to Bloomington, then east to hilly country, or they reached Jackson County and came north into future Brown County on the Sparks Ferry Road, or west from Columbus in Bartholomew County. Pioneers who had settled on lowland near Columbus came to the hills to escape malaria. Others deliberately chose the hills having lived in mountains before they made the trip to Indiana in search of new land. By 1830 an estimated 150 settlers had arrived; the United States census of 1840 reported 2,364 people. By 1828 the Indiana State Legislature had divided the land of present day Brown County between Monroe, Jackson, and Bartholomew counties. In 1835 settlers presented a petition to the Legislature requesting a new county. On February 4, 1836, both the House and Senate passed a bill providing for the formation from western Bartholomew, eastern Monroe, and northern Jackson counties of a county to be named Brown in honor of Major General Jacob Brown, a hero of the war of 1812. 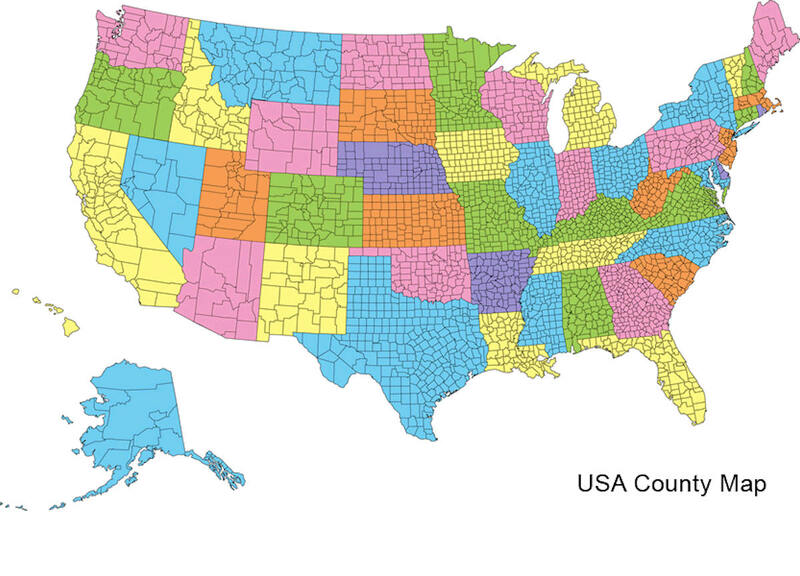 The county has 320 square miles, 16 miles from east to west and 20 miles from north to south. In August 1836, the land was divided inton five townships of Jackson, Hamblen, Washington, Johnson, and Van Buren. Nashville, then known as Jacksonburg, was chosen as the county seat. Banner C. Brummett was appointed County Agent to lay out Nashville in lots to be sold at auction. It was expected that money from the sale would help pay expenses of the county government. The lots sold very slowly, for pioneers had little money, and funds were very short for a number of years. In 1837 a log court house was built, and the first log jail. They were built on the same lots on which the present court house and log jail stand. Nashville, at that time, consisted of a cluster of log cabins and 75 people. The country was very wild in 1836. Bears, panthers, and wolves were plentiful. The wolves were so numerous and destructive to livestock that the Commissioners paid $1 for every wolf scalp brought to them. Settlers lived a rugged pioneer type of life for many years. Their cabins and small settlements were mere niches in the great forest that covered hills and valleys. The men hunted deer, rabbits, squirrels, wild turkeys and pigeons for food. As soon as enough land was cleared they planted corn, potatoes, wehat, hops for yeast, flax, and tobacco. Women made quilts, wove wool and flax into cloth, made the family clothes, carried water from a well or stream, cooked food in open fireplaces, raised the children, and nursed them when they were sick. By the time Nashville was incorporated in 1872 water powered grist mills and sawmills were scattered over the county. Each village served its own locality with at least one general store, a blacksmith shop, a church and a post office. A doctor, sometimes more than one, lived in almost every village. In 1881 there were 20 doctors in the county, and 37 churches - Methodist, United Brethren, Baptist, Christian, Presbyterian, and New Light. Money continued to be scarce and much business was conducted by the barter system. The first schools were built of logs, but by 1872 one-room frame school houses dotted the county; in 1900 there were 73. People farmed but they depended on forest products for cash. Lumber was taken to Indianapolis, also tan bark, cross ties, hoop poles, and barrel staves. The trees were cut recklessly and this led to deep trouble. Since there was not enough farm land on the ridge tops and in the creek bottoms, trees were eliminated on the sides of hills. Wheat and other crops were planted, and erosion began in earnest. By 1900, soil was so completely washed from hillsides and creek bottoms that crops could not be grown. Poverty was widespread and people began to leave the county in droves. Cabins all over the hills and valleys stood empty. In 1890, 10,308 people lived in Brown County. By 1930 only 5,168 remained. Not until 1980 did the population exceed the 1890 figure. In 1900, villages were still the centers of Brown County life. Travel by horseback, wagon, or carriage was exceedingly limited due to deeply rutted, rocky roads. There were people in remote areas who never made a trip to Nashville their entire lives. Many a family's only contact with the outside world was the huckster's weekly visit with his horse and wagon. As a result the pioneer way of life continued long after other counties had adopted a new pattern of living. 1n 1905 the Illinois Central Railroad built a line from Indianapolis to Effingham, Illinois. The line ran from Morgantown across the southwest corner of Jackson Township. Helmsburg was the main station. Two trains a day from Indianapolis, and two from Effingham, brought freight, mail, and passengers. Horse drawn hacks took people and wagons transported mail and freight from the station to Nashville. The first cars appeared in Nashville in 1913. Their use was strictly limited because of the very bad roads and because of the widespread belief, peculiar to Brown County, that cars were both autonomous and maleficent. By necessity as the number of cars increased county roads were gradually improved. By 1934 State Road 135 north from Nashville to Morgantown had been built and in that year was hardsurfaced. State Road 46 between Bloomington and Nashville was worked on extensively until it was considered one of the best gravel roads in the state. Some years later it was hard surfaced. A colony of superb artists was drawn to Brown County. In 1907 T.C. Steele built a home near Belmont, and Adolph Shulz came to Nashville. Will Vawter, V.J. Cariani, Marie Goth, C. Curry Bohn, Dale Bessire and others moved to Nashville. The Brown County Art Gallery was opened in 1926. In 1954 a larger gallery was built on East Main Street, and an Art Guild established a gallery in the old Minor House on Van Buren Street. Brown County State Park opened in 1931 offering many advantages: a lodge, cabins for rent, picnic areas, a swimming pool, and miles of trails. And at present there is Yellowwood State Forest, the Hoosier National Forest, Lake Monroe and Lake Lemon. Brown County was formed in 1836. It is named for Gen. Jacob Brown, who defeated the British at the Battle of Sackett's Harbor in the War of 1812. In 1907, artist T. C. Steele built a studio in rural Brown County and thus began the Brown County Art Colony. Nashville continues to be an art center and tourist attraction. As reported by the Census Bureau, the county has a total area of 317 square miles (820 km2), of which, 312 square miles (809 km2) of it is land and 4 square miles (11 km2) of it is water. The total area is 1.38% water. Brown county is located close to the center of Indiana. Part of Hoosier National Forest is located in this county. Brown county State Park, largest State Park in Indiana is also located in this county. Brown County is tied with Benton County as the least densely populated county in Indiana. 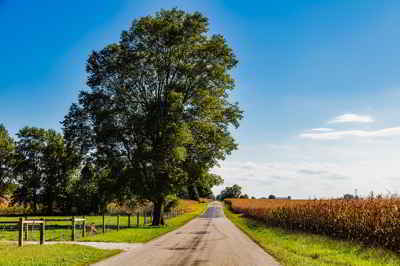 However, Brown County has by far the highest concentration of forested land of any of Indiana's 92 counties with nearly 90% coverage and almost no large farms at all.